An employee of Belozersky Research Institute of Physico-Chemical Biology (RI PCB), MSU, together with a Russian colleague, analyzed ways of increasing the survivability of RNA-containing viruses as well as the mechanisms that help them get rid of adverse mutations. The study was published in Microbiology and Molecular Biology Reviews journal. The work is an overview of the authors' own studies, as well as publications on conservation and variability in the genomes of viruses that store their genetic material in the form of RNA molecules. The authors put together previously discrete facts and formulated general trends that explain the sustainability of genomes and their ability to quickly change and preserve beneficial mutations. In the course of reproduction, RNA virus genomes develop lots of mutations. This is explained by low precision in the activity of viral RNA polymerases, the enzymes that synthesize daughter molecules on the genome RNA matrix. Due to these inaccuracies, the populations of these viruses have enormous genetic variety. Some mutations can dramatically reduce the viability of viruses or even kill them. However, the population usually preserves its main properties. This is due to the work of natural selection—the carriers of adverse features have a lower chance of survival, and therefore, future generations are unlikely to inherit their properties. The stability of genomes is so high that the populations remain almost identical, even if the viruses are grown for 30 years in different countries. The coexistence of viruses with different genomes helps the population survive in rapidly changing conditions, for example, when a patient develops tolerance or starts taking antiviral medications. In this case, the viruses that possess necessary properties as a result of genetic errors will live. However, when viruses spread within a body or between bodies, they often face obstacles that only a small number of viral particles can overcome. Occasionally, they may be mutants with reduced survivability rates. Ironically, it may increase due to copying errors that, among others, may create favourable mutations. Viruses have two ways of restoring their survivability: They can either "repair" a damaged element or change another functional site to compensate for the damage. Both scenarios lead to restoration of the main biological properties or cause a new variety of the virus to emerge. "Therefore, the recovery of viruses is based on inaccurate genetic copying. 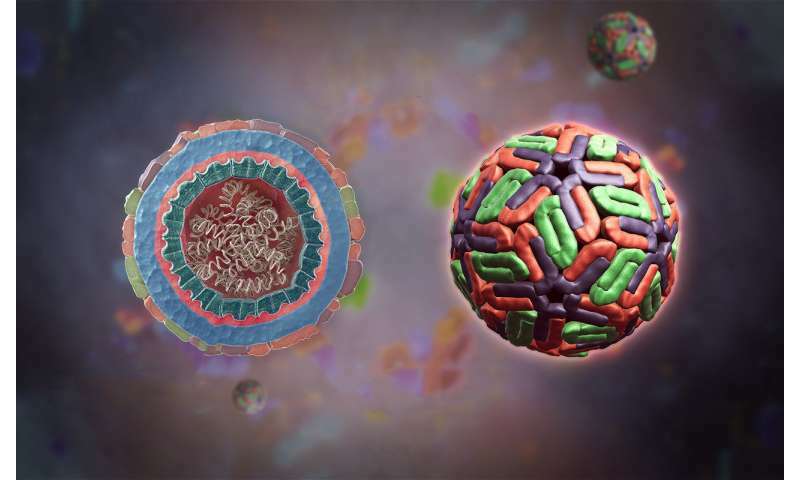 Moreover, it is an important factor that helps viruses adapt to adverse conditions, including protective mechanisms of the body and antiviral medications," says Vadum Agol, a co-author of the work and the head of the Department of Virus-Cell Interactions at RI PCB.